The Fort Stevens State Park is situated in Hammond Oregon, close to Astoria. We are posting this review so you can decide for yourself whether the pros outweigh the cons. We intend to publish similar reviews for all the parks we visit. We also invite readers to submit their own reviews. Share your knowledge, and help us to create a large collection of in-depth reviews to help others in the RV life! Please contact Maggie for more details. This video gives you a brief over view of Fort Stevens State Park, and local attractions. This park is situated at 100 Peter Iredale Road in Hammond, Oregon. You are out in the country and will need a vehicle to shop or access the internet. This map shows where the Fort Stevens State Park is. You can zoom this map in and out, and also change it from Map view to Satellite view. There are only 30-amp sites; no 50-amp sites. All sites have full hook-ups. There are 8 camping loops, a separate loop for Yurts (round tents erected on a wooden base) and a loop with small cabins for rent. The sites are level and paved for RV’s, and contain grassy areas suitable for tents, but there were no tents when we visited. The loops are well treed for the most part and the sites are quite large. The water pressure is adequate. The Park has a Sani Station which they prefer you use instead of the site connections. 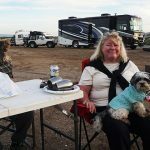 This appears to apply only in the high season, as we and all our neighboring RV’s were hooked up on their sites and the Camp Rangers did not ask us to disconnect. 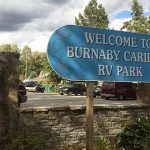 The Park is very well organized and staffed by employees, volunteers and camp hosts. You can also buy wood, kindling, and fire starter on site. 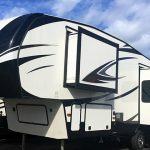 This RV park is huge and has numerous points of interest such as the shipwreck of the Peter Iredale on the beach; Coffenbury Lake; Bird Watching areas; nine miles of biking/hiking trails; and the Fort Stevens Historical site and Museum. The historical site and museum of Fort Stevens is extremely interesting to visit. We also recommend visiting Lewis and Clark National Park. We visited Sunset Beach and Canon Beach as well. Canon Beach was one of the most spectacularly beautiful beaches we have ever seen. The local shopping is abundant with Walmart, Fred Meyers, Home Depot, etc., all about 6 miles away in Warrenton. The park allows any type of pets, with the usual leash rules. There is no dog off-leash area. Not all the loops were open this time of year, so Joe found that he could let our dogs off leash in one of these areas without bothering anyone. The morning walks were the highlight of the dogs’s days! There are 9 miles of multi-use trails that lead to all the attractions, so you hike or bike to them. We loved the bike trails, as you can see in the video. They gave us access to everything in the park without having to use our tow vehicle all the time. We save a lot of gas that way! There is also a hiking trail around Lake Coffenbury. It is marked as 2 miles, but we believe it was more like 4 miles. We did not see any public transit in the area. It is quite easy to drive to this park, with many sign posts pointing the way. The roads inside the Park are wide with few speed bumps. Also, the speed bumps are quite gentle. We stayed at this park during October/November, so it was cold at night. Surprisingly, we had sunshine most days, and it usually rained at night. Everyone we met in the park was very friendly. This Park is wildlife Central! We often met deer outside our door or on the paths leading to the showers. They were not afraid of us at all. We also encountered herds of elk, usually at dusk, and we were serenaded daily by our little tree frogs. At night it was pitch dark and absolutely quiet. You have a real feeling of being in the wilderness in this park. In this respect, it is similar to another Oregon state park we visited, the Humbug Mountain State Park. There is a lot of standing water in this area, so we were told that the park has a lot of mosquitoes in the summer. There is a mosquito-control program in operation, so it seems the plan is to try and reduce their numbers. On the weekends the park does fill up, but this is not a party place. The noise level was generally low, and everyone respected the quiet hours. The Ranger Station was closed when we arrived, but our name and site number was on a list at the office. There is an Information Center staffed by volunteers where you can obtain a map to find your site. Staff and volunteers were friendly and helpful whenever we needed them. The price is reasonable for sites with full hookup. The wi-fi was non-existent, due to the very tall trees. Joe has AT&T and I have Verizon, but neither of us could get any cellular reception at all. There was no cable TV, but you can tune into a few local channels with an antenna. Cellular reception was non-existent. We had to leave the park to access the Internet with our phones, and to make phone calls. The washrooms were always clean, and the free showers had a plentiful supply of hot water with good pressure. The washrooms at Fort Stevens were always clean, and the free showers had a plentiful supply of hot water with good pressure. There was a handy dog hitching post right outside too! Facilities are good for a State Park, but you will need to go offsite for groceries and laundry. There is a KOA across the street which has a laundry and small store, or you can drive into town. The only negative thing we found about this campground was the lack of Internet, which forced us to spend many afternoons at the Starbucks in Warrenton. They had excellent Wi-Fi, and did not seem to care how much time we spent working there. We spent fourteen days at Fort Stevens in late October/early November, and felt relieved to leave only because of the cold. We needed to get further south. If not for that, we would have wanted to stay longer. But of course, you are limited to two weeks maximum in state parks. 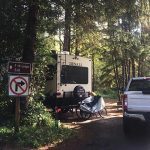 So, we had to move on to Beverley Beach State RV Park, which turned out to be yet another lovely Oregon coast RV park with a great wilderness feeling! Weigh up these pros and cons, and decide if this is the Oregon State Park for you! 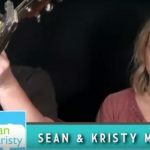 Did you enjoy this post or find it helpful? If so, please support our work. 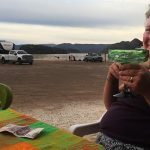 We write this blog because we love our RV life and want to share it with you. But we also need to earn a living, so we REALLY would appreciate if you click through to one of our reputable affiliates for your online shopping. We are proudly affiliated with Amazon, which sells pretty much everything, and has outstanding shipping and return policies. You can even have items shipped to a convenient pick-up point, if you are traveling and don't have a permanent address. Plus, many private camp grounds accept deliveries for their guests. We are also affiliated to Backcountry, which sells many items that are perfect for RV living, including camping gear and outdoor clothing. When you buy from our affiliates by clicking on highlighted links such as Amazon or Backcountry, we make a small commission, and this is the only way we earn any income. Plus, it costs you nothing at all - a real win/win situation! Welcome to our blog! I’m Joe Goodwill, an average guy, and my wife and I write blogs for people like us. 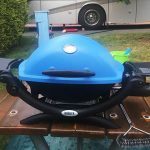 This blog is for people who want to learn about RVs. 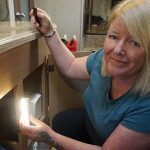 Join us on our journey of discovering the joys of RV living. We also write the Average Joe Cyclist Blog and the Electric Bikes Blog. Hi! I'm Maggie Neilson. My husband Joe and I enjoy sharing our adventures on our blogs. We hope you will join us! We're at Richard and Nancy's lovely, peaceful home in Redding, CA. Very grateful for their kind hospitality! Shop at Amazon in the USA. Shop at Amazon in Canada. Shop at Amazon in the UK.